DRM copyright prevents users from getting full use of digital music files downloaded online, such as Apple Music, iTunes M4P songs, and Audible AA, AAX audiobooks. 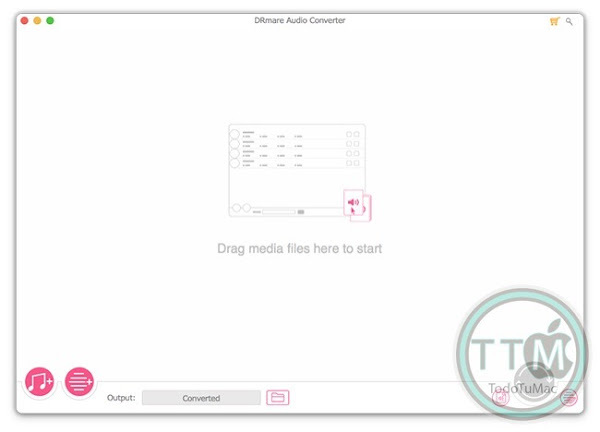 To help you gain the real ownership of those DRM-ed audio files, the all-mighty DRmare Audio Converter for Mac comes to rescue. It's specially developed to enable you completely get rid of DRM protection from the streaming audios so that you can freely enjoy any Apple Music, iTunes music, and Audible audiobook on any popular device and player without limit. 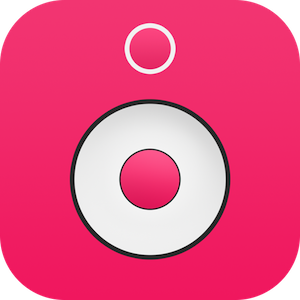 Apart from a dedicated DRM audio converter, this tool can also be used to convert any non-DRM audio file. 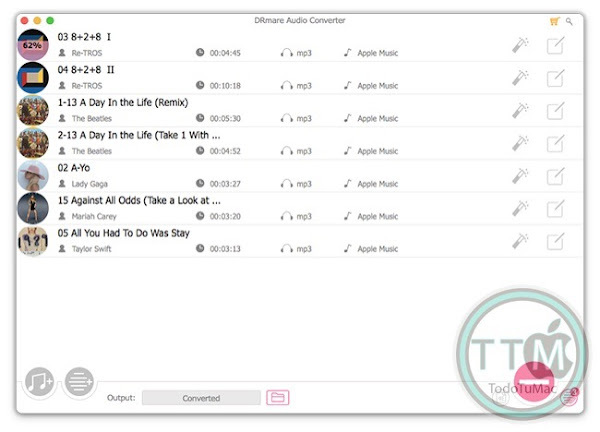 It's capable of transforming the protected audios, including Apple Music M4P, iTunes M4B, Audible AA, AAX and other common audio files to MP3, M4A, AAC, FLAC, WAV, and M4B just like a breeze. In addition, you are allowed to customize the output quality by adjusting audio codec, channel, sample rate, bit rate to make the converted music more personalized. 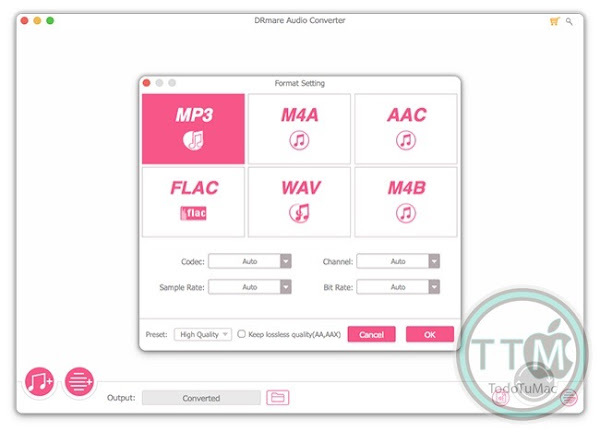 Differ from other DRM music converters or recorders which use the out-dated technology to record the audio, DRmare Audio Converter for Mac adopts the latest audio decryption technique to access and batch extract the audio tracks directly without unnecessary encoding. Consequently, it runs at up to 10X faster speed and keep original music quality while stripping off the DRM restriction. Furthermore, it offers 100% lossless output format for Audible AA, AAX audiobooks. DRmare DRM Audio Converter for Mac supports retaining the ID3 tags come with them by default. But what if your source audio files contain wrong tag info or even don't have any of them? No worries. 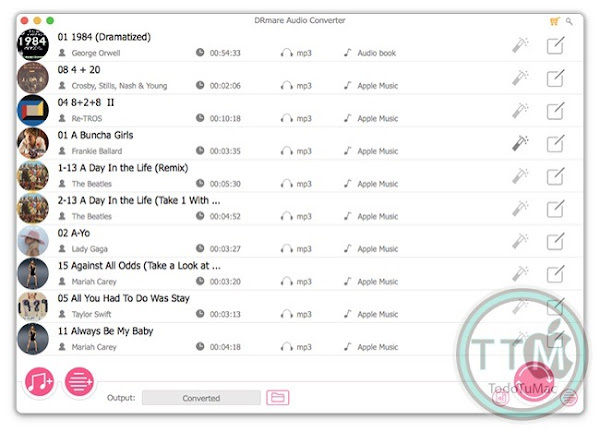 Thanks to the embedded ID editor of DRmare Mac Audio Converter, you can manually edit the audio track title, album, artist, composer, disc number, cover and so on. More importantly, you can split large audio files like Audible or iTunes audiobooks into small segments by chapters or averagely so that you can pick up the right chapter you want to listen in an easy way. 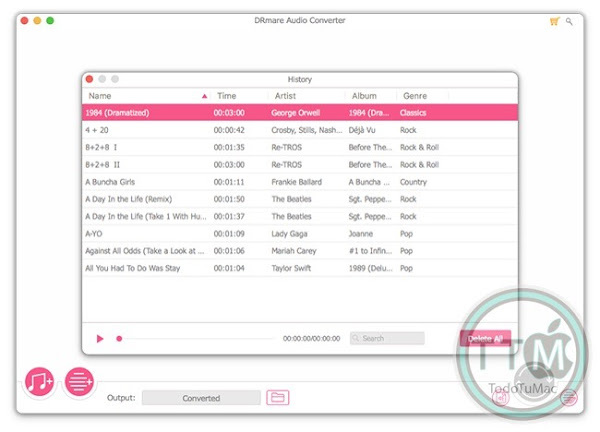 No matter what audios you collected, DRM-ed or unprotected, the one-stop DRmare Audio Converter for Mac will help you easily export any audio to most popular media devices and music players, such as Apple iPhone, iPod, Sony Walkman, iRiver, Zune, PSP, etc. for playback. Once done, you can also share the well converted songs or audiobooks to your friends without worrying about the restriction any more. • Support the latest version of iTunes 12.7.4.